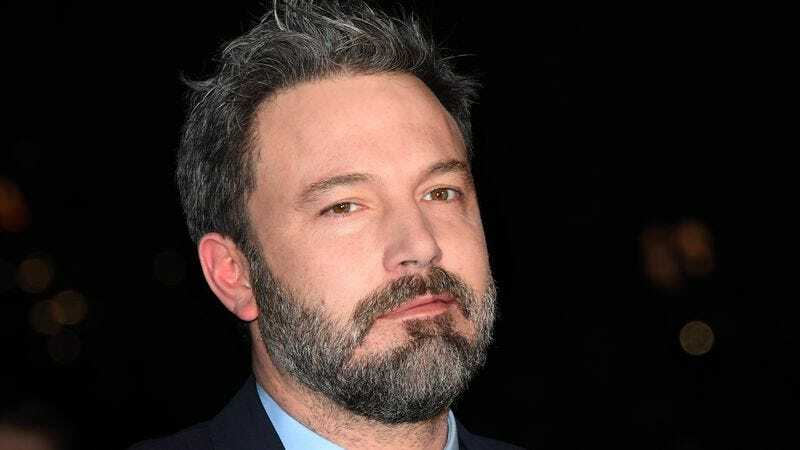 Deadline reports that Ben Affleck will no longer be in Netflix’s upcoming collection of handsome, grizzled men, Triple Frontier. Affleck has dropped out of the project, which was written by Zero Dark Thirty’s Mark Boal and set to be directed by JC Chandor. The film’s title refers to a South American region at the borders of Paraguay, Argentina, and Brazil (and not a weird, slightly objectifying nickname for handsome and critically beloved actors Mahershala Ali, Tom Hardy, and Channing Tatum, all of whom have been attached to the film in the past). Affleck said he was leaving the project “to take some time to focus on his wellness and his family”; the film is expected to enter production pretty soon, with Deadline stating that the film’s cast is quickly filling up.